Do you recall a situation of writing a text message to a friend and seeing the following indicator: “X is now typing…“? When most of us see this information, we stop typing and wait for the friend’s response. But so does the friend. As a result, everyone waits for the second person’s reply and nobody sends a message for a while. 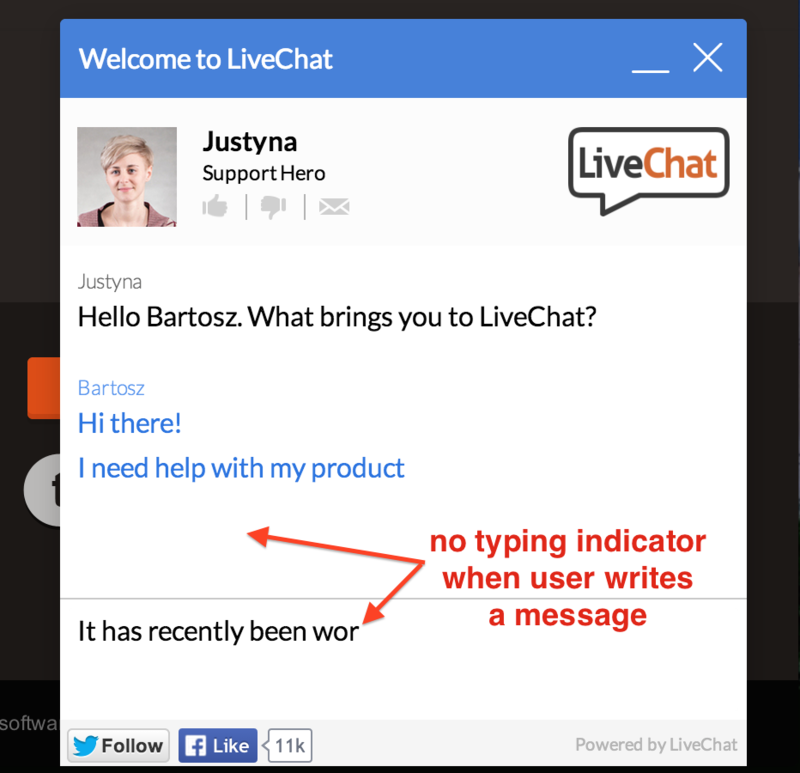 We noticed the same problem when our customers talked with their clients using LiveChat. 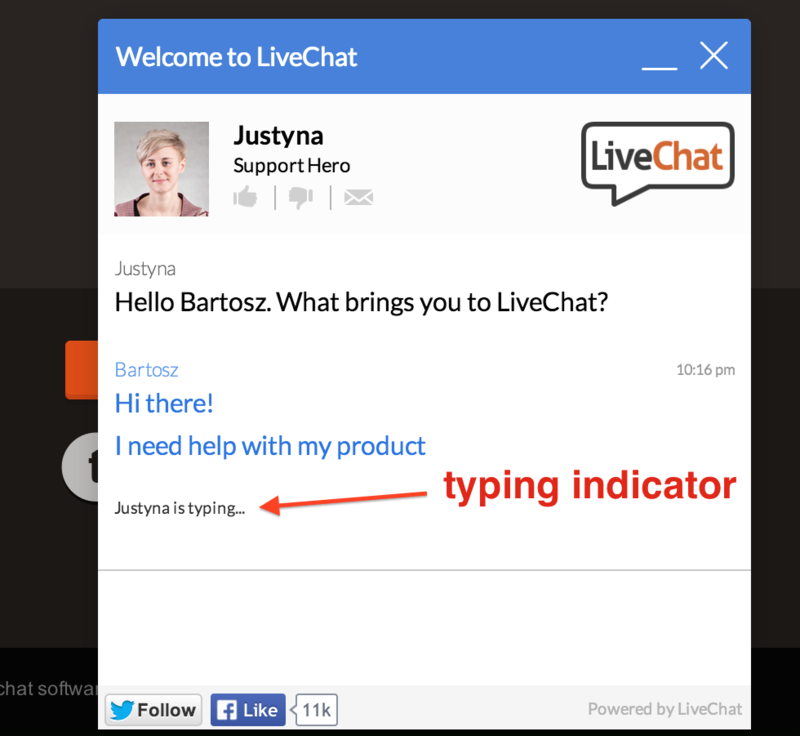 Our application displays a typing indicator so that the client knows that the agent is now replying. However, we found out that whenever the client wanted to write a few more words and the agent already started to reply to the previous question, the client was confused. He usually stopped writing the message and preferred to wait for the agent’s response. Sometimes he even erased the whole message as if it was no longer necessary. We decided to solve that small yet irritating problem. The solution is pretty easy. We just don’t display the typing indicator if the client already started typing in a new message. As a result, website visitors don’t get confused when the agent starts to reply to their question anymore. I think this example proves that in terms of product design, every little detail matters (especially when it comes to improving users’ experience). Here are some more examples of such little details in action.